When you buy a Detroit Lakes home, you need to know exactly what you’re buying. Imagine how frustrated you’d be to find out that the hot water heater wasn’t working—in the middle of a shower! This is why you should have a home inspection before you buy your home. A home inspection is an important part of buying your home. Before you hire a home inspector, ask candidates a few questions to make sure you hire a trustworthy inspector. What does your inspection cover? Not all inspections are the same. 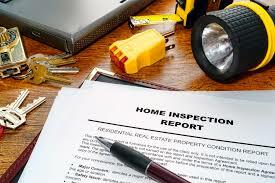 Ask for copies of previous home inspections so you can see exactly what they will check inside the home. If you are concerned about something specific, like a leaky faucet in the bathroom, mention that to the inspector so they can check it out. As your real estate agent, I will guide you through the home buying process. Let me help you find your new Detroit Lakes area home, including advice on local qualified home inspectors. Call me today at 218-850-6547 or email me at Deanna.Sinclair@era.com. This entry was posted in Detroit Lakes, Minnesota, real estate, Realtor and tagged Deanna Sinclair, Detroit Lakes, home inspection, lake home, real estate. Bookmark the permalink.